A SpaceX Falcon 9 rocket carrying 10 satellites for Iridium Communications blasted off from Vandenberg Air Force Base on Friday, March 30, 2018. 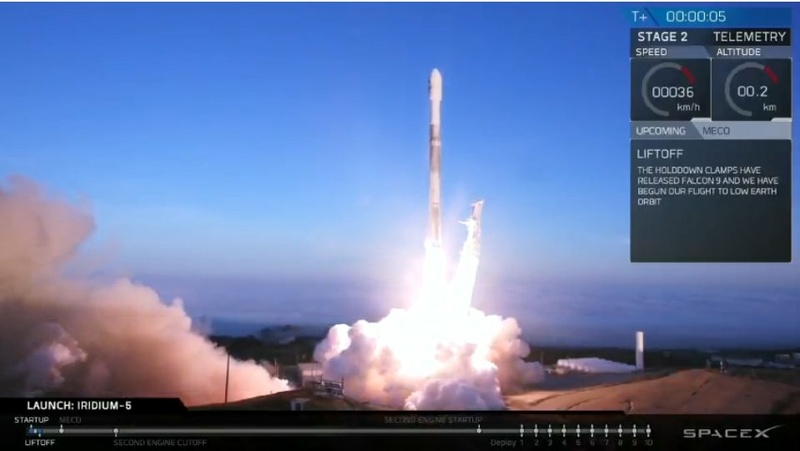 A SpaceX Falcon 9 rocket carrying 10 satellites for Iridium Communications blasted off from Vandenberg Air Force Base this morning. All ten satellites were successfully deployed into low Earth orbit just before 8:30 a.m., according to SpaceX.